Jeanine Serralles and Kathleen McElfresh. Photo by Hubert Schriebl. Munson Hicks and Cass Morgan. Photo by Hubert Schriebl. 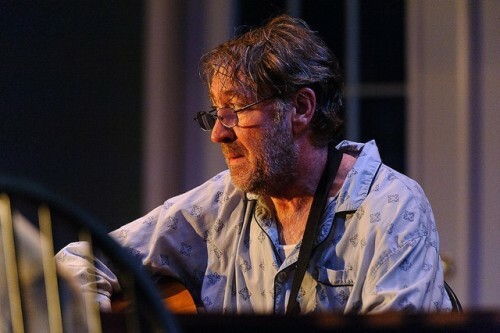 Christopher Donahue. Photo by Hubert Schriebl. Jeanine Serralles and Liam Craig. Photo by Hubert Schriebl. The cast of Uncle Vanya. Photo by Hubert Schriebl. Anton Chekhov’s plays can be a real snooze. They are wordy, long, don’t have compelling plots, and are full of despondent characters. 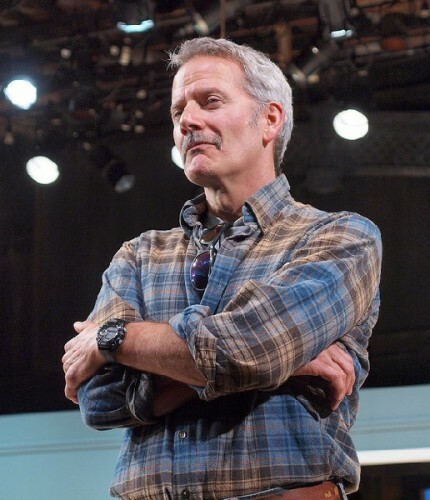 Producing Chekhov is difficult, and successful, stimulating productions are rare—but it can be done as is proved with the Weston Theatre’s current production of Uncle Vanya, playing through September 6 in Weston, Vermont. Baker’s adaptation is decidedly American. The script is faithful to Chekhov, but the language has a tone and cadence that is familiar to the American audience. It is less stilted than former translations and uses idioms and references that are understandable within American culture. 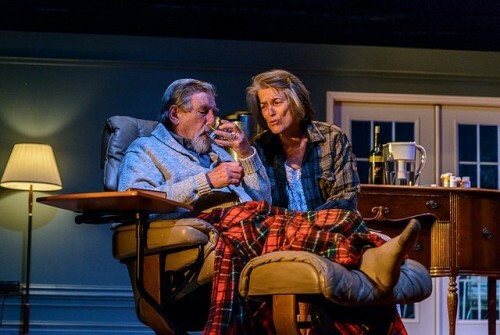 Donahue has set the action of this production in modern day Vermont, playing on the fact that many city dwellers keep country houses in Vermont, much like Serebryakov in Uncle Vanya comes from the city to his country estate. The clash of city and rural cultures accounts for much of the play’s soul-searching and tensions. Besides having a script that resonates with American audiences, Donahue and the well-cast actors found elements of lightness in the script. Though Chekhov always insisted that his plays were comedies, few audiences have had the pleasure of seeing them as he must have intended. 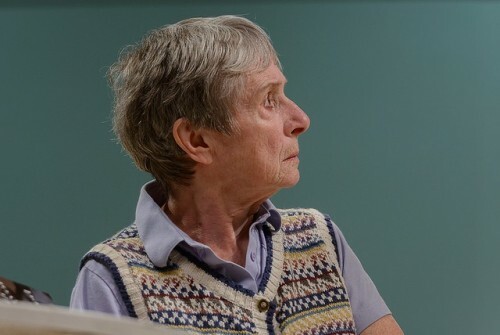 The characters in this production are self-aware; they analyze themselves and others; and they recognize and mock their own excesses of emotion. In the opening scene Cass Morgan, as Marina, tells Astrov he is an old man and no longer handsome. She adds that he drinks, too. But the line, which could have been delivered as a scold, is tossed off by this fine actress as the teasing of a dear friend, a mocking exaggeration of Astov’s unwarranted self-criticism. This actress’s choice made what could have been a heavy opening into an expression of friendship. 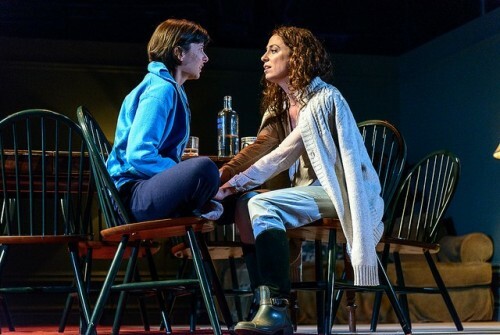 The costumes, by Anya Klepikov, were convincingly Vermont vernacular, including jeans, plaid shirts, and sturdy country shoes. The scenic design, by Dane Laffrey, was interesting and effective. 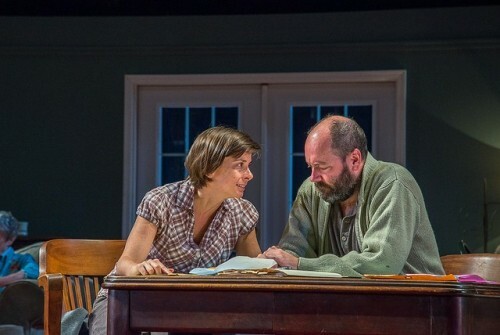 Following the director’s intention to accentuate the natural, untheatrical style embraced by both Chekhov and Annie Baker in her adaptation, one room, a single, wide set, accommodated every scene, only the furniture changed. The pieces that weren’t in use were stacked on either side of the stage within full view of the audience. Scene changes were completed matter-of-factly in dim light. The “room” itself had no ceiling so that all the lighting equipment was exposed. Donahue used the set well, opening the action without a curtain or light change, but bringing the actors on gradually while the house lights were still up and having the actors at times sit on the edge of the stage itself. The overall effect was casual, like that of a theatrical workshop, and enhanced the accessibility of the play. The music between scenes (sound design by Daniel Kluger) was powerful and imposing, a real addition to the mood. Chekhov strove to make his works "just as complicated and just as simple as ... in real life." He wrote, "People are sitting at a table having dinner, that's all, but at the same time their happiness is being created, or their lives are being torn apart." 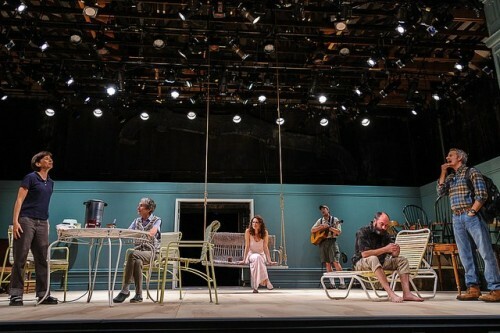 This production of Uncle Vanya shares Chekhov’s intentions and brings his work to life much as he must have envisioned.